Are you the sort who has dreamed about what you would plant in garden beds? Who has always wanted a workshop out back for creating things... or a little studio to paint? Have you ever thought to yourself, ''I would like to live in a house with character''? If it sounds like I'm describing you, this house might be what you've always wanted! 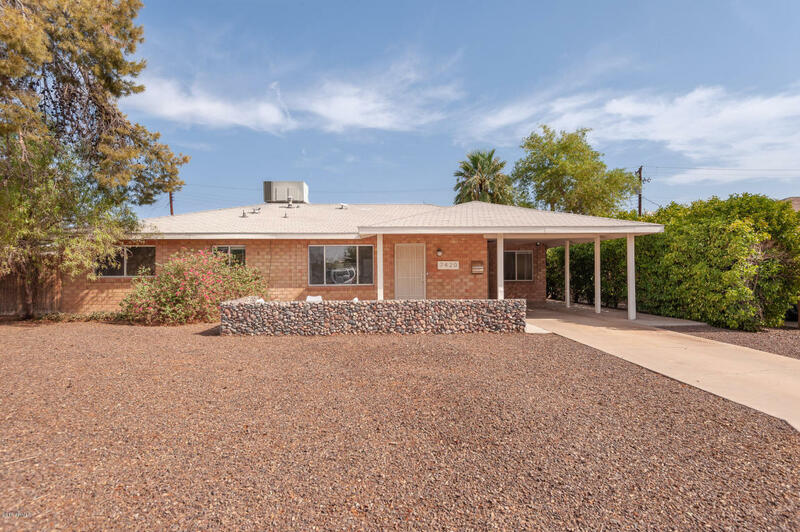 Cute South Scottsdale 3/2, with a fantastic den/office, and an amazing, pie-shaped lot, just down the street from a Eldorado park. There are three sheds in the yard, one with space for a workshop and a studio or office. Move-in ready, and close to all the South Scottsdale shopping/restaurants/amenities. This is a well-cared for home with an adorable contemporary vibe, and the kind of yard you could make into whatever you dream!